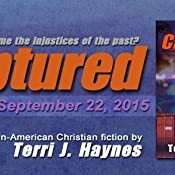 Captured - Kindle edition by Terri J. Haynes. Literature & Fiction Kindle eBooks @ Amazon.com. "Special Agent Will Anderson is counting the days before he transfers from the D.C. Human Rights squad of the FBI, but he’s leaving behind everyone he loves. He is asked to interview a victim of suspected human trafficking, a simple task, but finds himself deeply involved in the case. Social rights activist, Savannah Elliott, has made a fresh start in Washington, D.C., but a routine consultation on a D.C. Human Rights case brings her face to face with a terror from her past. As Will and Savannah struggle to solve the case, they are forced to face choices, some they’ve buried for years. Will their decisions, past and present, bring them love and safety or will they lose everything, including their lives?" 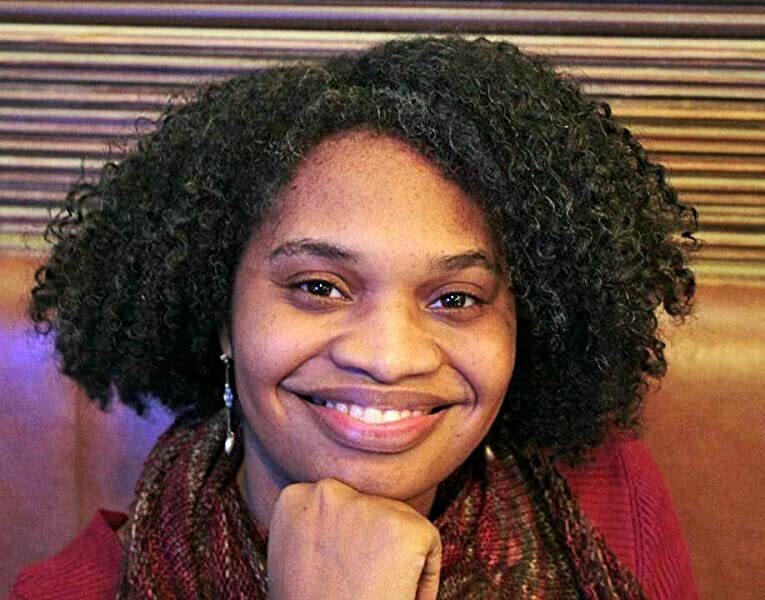 Terri J. Haynes captures the face of suffering among victims of human trafficking, the face of unscrupulous and murderous traffickers, and the face of those dedicated to rescuing survivors and making the culprits pay with their own freedom. FBI Special Agent Will Anderson is transferring from Washington, D.C. to escape the pain of his past. Human Rights activist Savannah Elliott ran from her past a year ago to Washington, D.C. She pours her heart and soul into her non-profit organization created to help those who escape the heinous cruelty of traffickers recover from their ordeal. Savannah is also respected among local law enforcement since she’s the compassionate voice for potential witnesses. The agent and activist are thrown together at the bedside of a Guatemalan woman when a brutal case of human trafficking is exposed. Inside that hospital room, Will and Savannah silently admire how the other works. Once they step outside the building however, one of their pasts makes them a target. Will instinctively pushes Savannah out of the path of danger in time. As their attraction bubbles beneath the surface, time may not be on their side as questions rise to the surface. Who wants one or both of them dead and why? Will feels if God was listening to his prayers, the FBI wouldn’t need a special task force assigned to human trafficking. Nevertheless, when dead ends and dead bodies confound local law enforcement and the FBI, Will seeks his mother’s help. He needs Denise Anderson to pray specifically for this case. At least he has this advantage over Savannah. Her parents only see power in knowing the right people in the right places and positions. “Captured” is compelling, heart wrenching, suspenseful and hopeful. The author succeeds in keeping us so caught up, our breathing matches that of Will and Savannah as they decide whether to keep running or stand and fight. Really enjoyed Savannah and Will's story as well as the crime/suspense element. I am huge fan of suspense fiction and of African American fiction and to have them both merged together so well is a joy to me. Haynes does a great job building the characters of both protagonists while weaving the story together. When it was done I wanted more - I wanted to stay in Savannah's world and little longer and see what came next for her. If you are on the fence about this title, don't hesitate. It was a great read and I look forward to more from this author. I really enjoyed this book. It was my first time reading anything by this author, but I'm now a fan of her storytelling. The characters were layered and I enjoyed being there as she pulled back the layers of their lives and their secrets. The topic of the book is one that's hard to believe is the reality of so many young girls, but I admire the grace and class, but realness in which the author brought attention to this very real issue. I would recommend the book and I wouldn't mind if there was another story that included any of the lovable characters. Author of "Color Me Blind: A Divine Love Story"
This was a great read. Will Anderson and Savannah Elliott, are thrown together after a human trafficking victim needs some T L C while being interviewed in the hospital. Will, counting down the days till he transfers to the FBI sits in on the interview and is taken by Savannah's reassuring nature. Drawn to her, he will risk it all to keep her safe, when a human trafficker comes looking for her. Savannah's past is a little sketchy, but can she come clean and let the chips fall where they may. You should read it to find out? Great story. I highly recommend this book. When you read into the night you know you are captivated. This was a good story. Solid in its delivery, enough suspense to keep you turning the page and the romance was to sweeten the pot. The exploitation of woman and children who come from ethnic groups with little power, is an alarming statistic that main stream media doesn't pay enough attention to this plight. Books like Captured by Terri Haynes will help educate as well as entertain. Ms. Haynes has written a great story straight out of today's headlines. I found myself thinking about this story long after I finished. Don't sleep on this writer, she's definitely gifted to write a story full of suspense and romance. She has easily become a favorite and I'll definitely read her past and future releases. Great job Terri! 4.0 out of 5 starsContemporary Mystery that won't scare the bejeebes out of you. Relevant, easy read. Holds attention and moves along nicely. Proofreading errors are there but they don't hinder the story. I look forward to reading more of Ms. Haynes efforts. 5.0 out of 5 starsEnjoyed!!! This was a great introduction of Terri J. Haynes work. Truly enjoyed both the romance and suspense in the book. Awesome character development. Will definitely read more by this author.